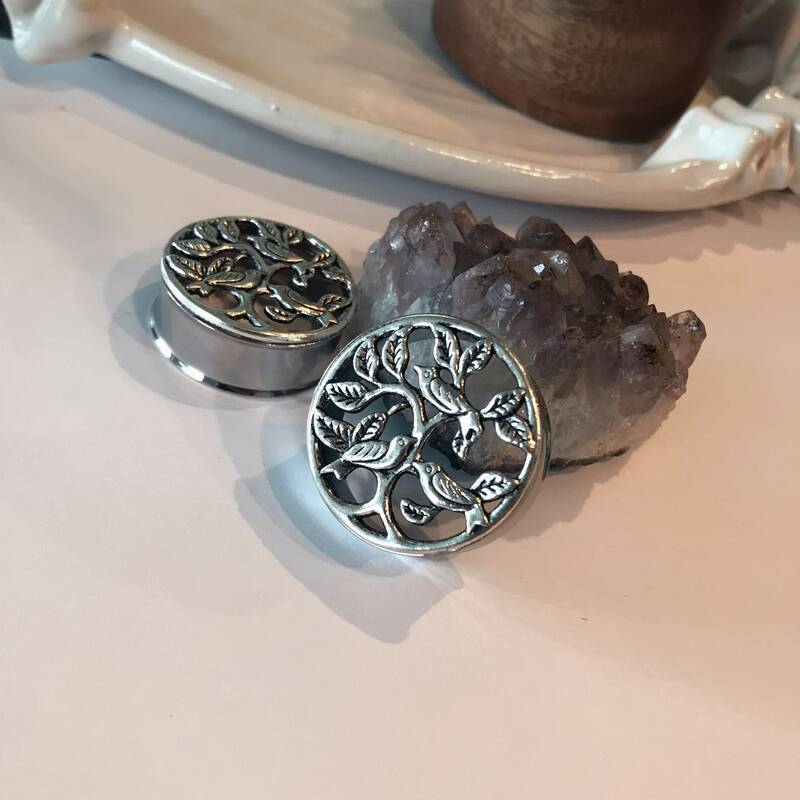 These beautiful plugs are great are comfortable and stylish enough for everyday wear. 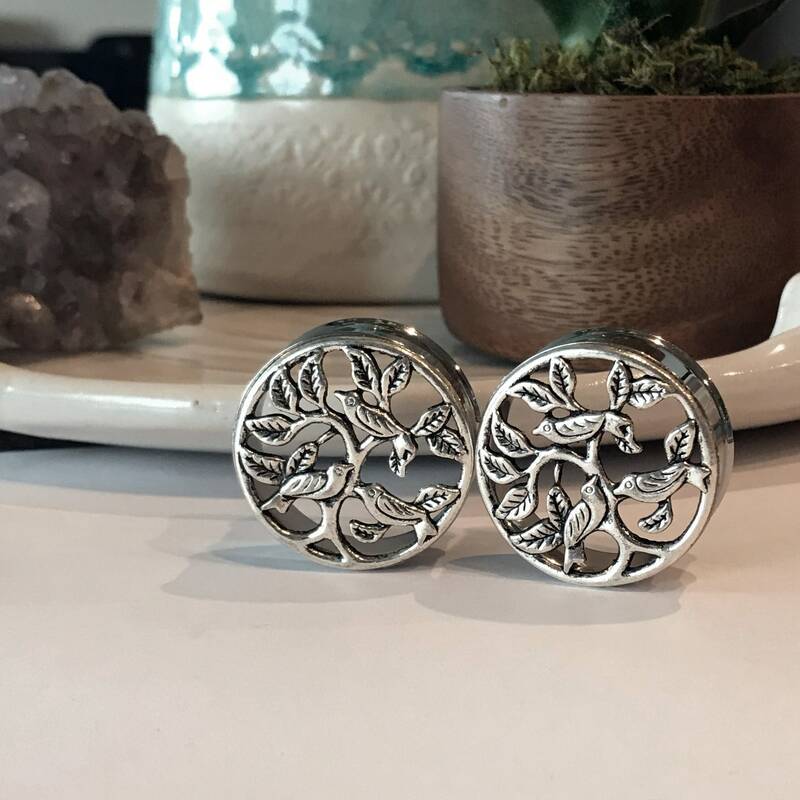 •These tunnels feature silver-plated tree of life decoration with tiny birds on the branches. 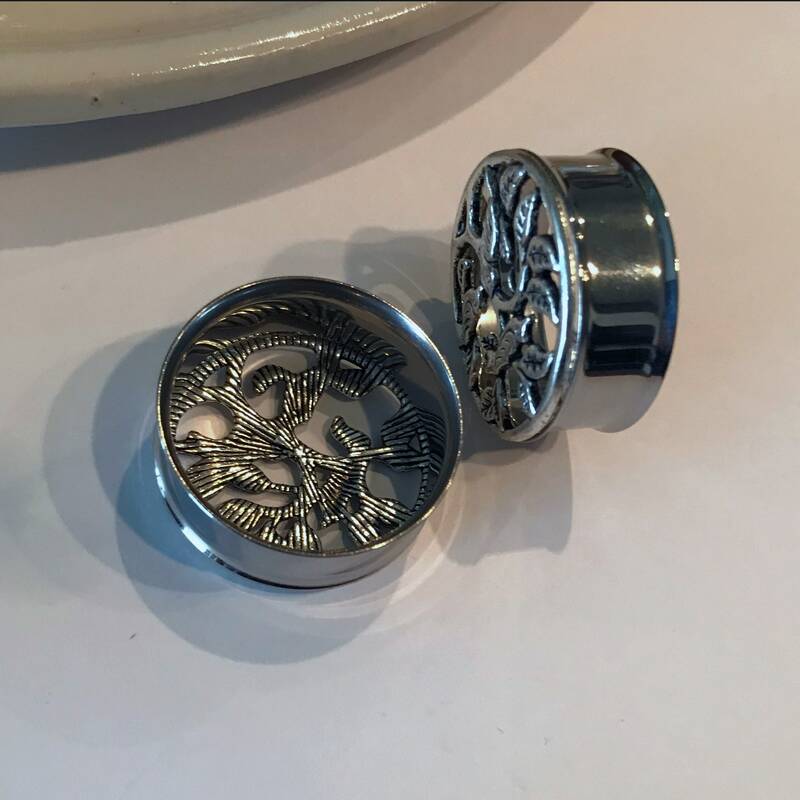 The bases are surgical steel double-flared tunnels with silicone o-rings. Message me if you'd prefer single-flared tunnels. 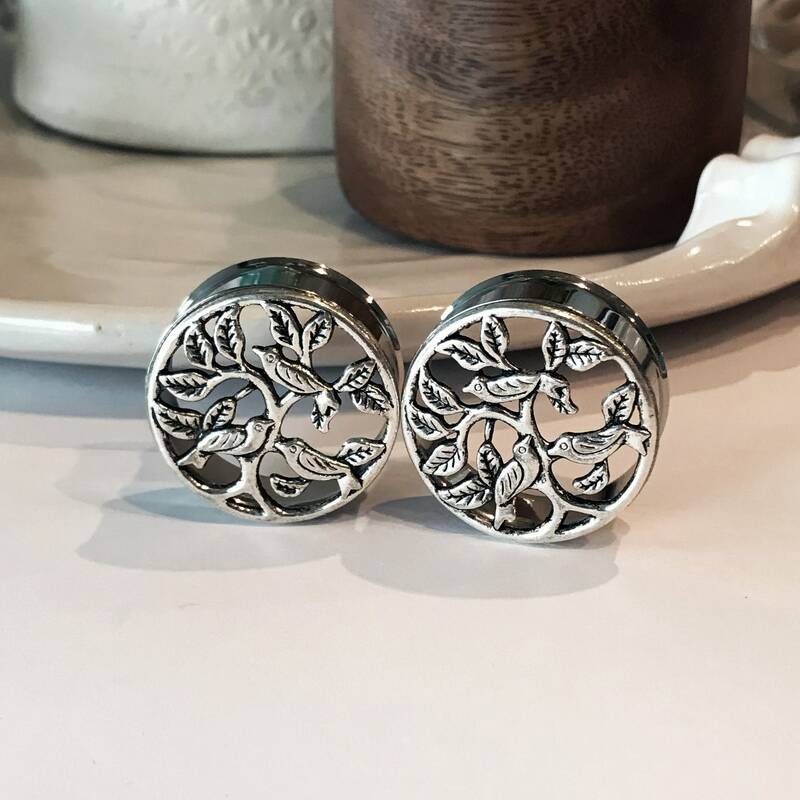 •The pair shown is 32mm but they are available in 30mm as well. •Handle with care, especially during travel- they are strong but not unbreakable! I always love the jewelry I get from you. Your pieces fit my style perfectly. I have three different pairs now. 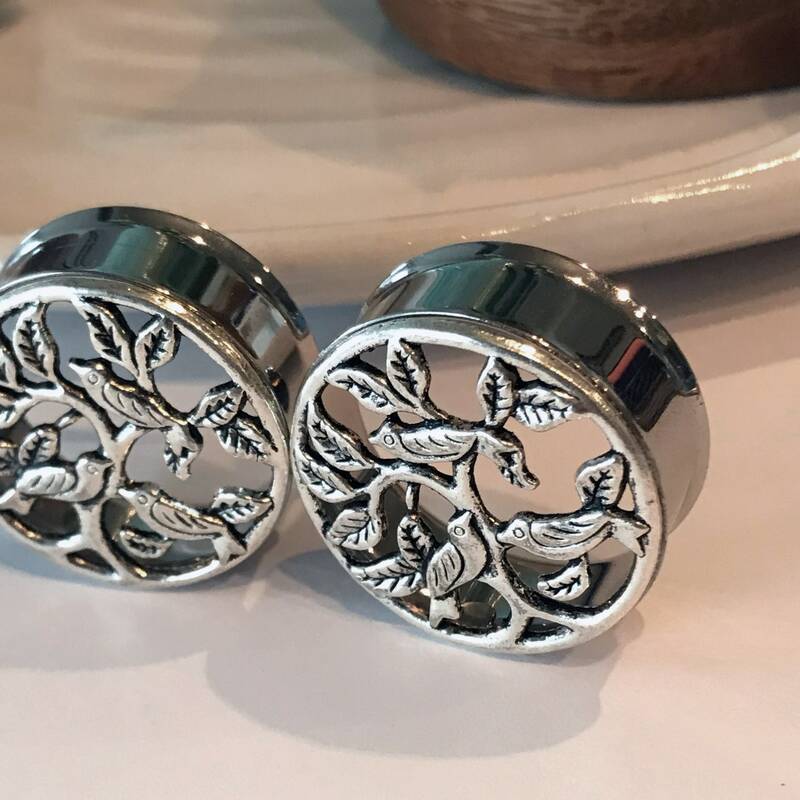 They're always well made and I enjoy wearing them thoroughly.